Misnomer on purpose, this amazing debut rocks nine short and amusing stories - a Zombie Apocalypse without zombies; the Vatican announcing contact with Aliens; a heroin junkie that loves poetry; a timeless love, and much more. Ordinary characters facing extraordinary situations, dry humor, philosophical musing dressed as whimsical, offhand commentary, and a fairy-tale like writing; those are the key elements of the style of this funny and thought-provoking collection. The collection comprehends three previously published stories ("The Galway Review”, “Trigger Warning”, “Two Thousand Words” and “Chantwood Magazine"); five new unpublished pieces; and for the first time in English, the best-selling story “Impurità”, which was Selected Work in 2012 by Apple iBooks. When I first got this book I wasn't sure what to think but as soon as I started to read I knew I would absolutely love it! I like the idea of a book being filled with short stories, because, as Dario himself says "life's too short to do stuff you don't want to do!" I don't know if any of them are true but I like to think they are. One of my favourites was "The Announcement" simply because it showed how much control one certain sector can have over a whole community of people. 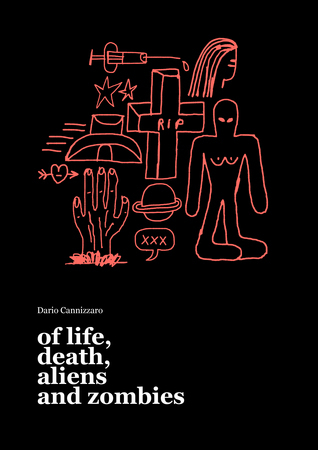 It centres around a hypothetical political revelation from the Catholic Church about alien beings and how panicked everyone can get, but as the story goes in you realise that it is all fake and the people are in a kind if limbo, waiting for something to happen and how you make friends with different people because you all have to survive. So I suppose this story is about breaking down barriers and talking to people you wouldn't necessarily see in everyday life. Another of the stories I liked was "The Best Place to Plan a Mass Shooting" simply because it's not about that at all, rather more about a creative essay that was written by an American student! Go figure! But it does give a good perspective about just how sensitive America really are about mass shootings. A good read. And I do have to say Impurita was another favourite. It means impurities in Italian and Dario wrote it whilst working in Italy, writing in every spare moment on used napkins. It's about finding that perfect person, but realising all too soon that you should've met them earlier. It's about wondering who you are and where you're from and wanting to know the truth. Nabeshima Rongo (Bushido), part 1 of 2. Nabeshima Rongo (Bushido), part 2 of 2.